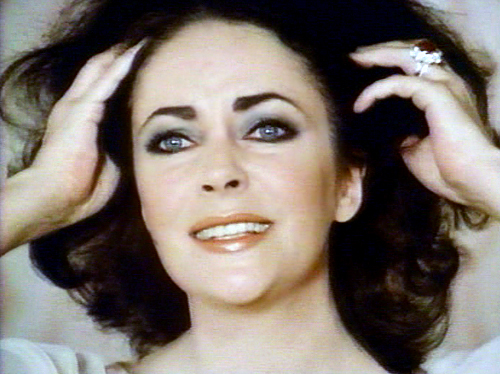 Yesterday was Elizabeth Taylor’s 77th birthday. Last year I wasn’t able to properly complete my tribute to Taylor and I never finished writing about a few of her films that I want to cover here sooner or later, but today I thought I’d offer up a few brief thoughts about her 1973 film, Ash Wednesday. In all honesty that’s all, there is to Ash Wednesday. Trying to read some deeper subtext into Jean-Claude Tramont’s script is pointless so I won’t bother. But when you consider the film’s 1973 release date, the movie becomes notable for the way it dared to tackle aging and beauty myths. 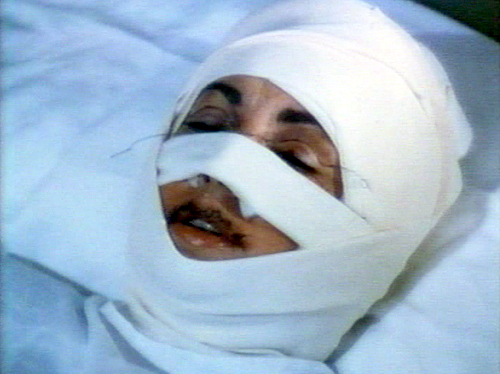 In a memorable opening sequence featuring actual footage from real operations; viewers are subjected to an appropriately ugly and unflinching look at cosmetic surgery as an elderly Elizabeth Taylor decides to reluctantly go under the knife. The makeup used to age Taylor (who was only 41 years old) is pretty convincing, but she’s soon magically transformed into the flawless middle-aged beauty that she actually was at the time. As the film slowly unfolds the audience is supposed to be surprised by the May-September romance that blossoms between 41-year-old Elizabeth Taylor and 29-year-old Helmut Berger, but that’s impossible. Taylor still looked stunning at 41, which only manages to muddle the plot. And when a ragged looking Henry Fonda finally shows up as the cold distracted husband who is having an affair behind Taylor’s back you’re left wondering, why? 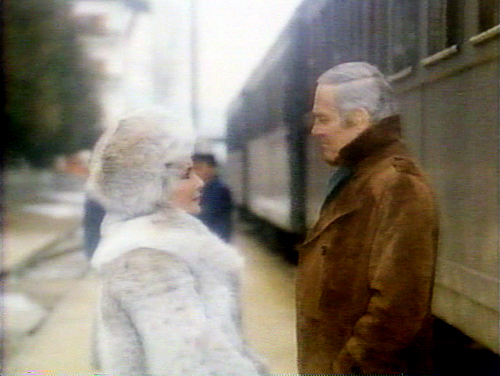 There is a great scene where Taylor confronts Fonda’s character telling him that she only had plastic surgery in an effort to get him back but Fonda isn’t moved. Taylor’s character is forced to realize that plastic surgery can’t save a marriage that is emotionally dead. The only real reason to sit through Ash Wednesday is to watch lovely Liz and handsome Helmut Berger exchange passionate glances and loaded words until they finally fall into bed together. Taylor looks amazing in the film and waltzes through it wearing some fabulous Edith Head costumes and impressive Valentino fashions. Her performance is also convincing and low-key even if the material is subpar. She could have easily hammed it up, but Taylor obviously has some emotional connection to the character she’s playing and her sincerity is believable. 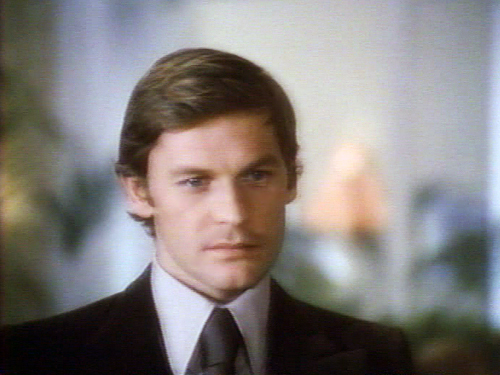 On the other hand, the talented Helmut Berger is wasted here and he seems more than a little distracted in the film. Rumor has it that Richard Burton thought Ash Wednesday was incredibly vulgar and he was bothered by the love scenes Berger shared with Taylor. Burton was sure that Berger and Taylor were having an affair off-screen as well, even though Berger was open about his homosexuality. According to writer Dominick Dunne who produced Ash Wednesday, the behind-the-scenes drama happening during the making of the film was more interesting than anything going on in front of the cameras. Taylor was chronically late to the set prompting Paramount Studio head Robert Evans to fly off the handle and the fights that occurred between Taylor and Burton were explosive enough to frighten the rest of the cast and crew. Director Larry Peerce previously had some success directing episodes of Batman (1966) and The Wild Wild West (1967), as well as popular films such as Goodbye, Columbus (1969), but he brings none of the style or humor from his earlier efforts to Ash Wednesday. The film takes much too long to get going and there aren’t enough bedroom scenes in it. But what does occur is rather steamy so if you happen to love watching Elizabeth Taylor and Helmut Berger on screen as much as I do, you might find Ash Wednesday worth a look. On the other hand, Ash Wednesday is really just a blueprint for the type of dull and lurid melodrama that you might find playing on the Lifetime Movie Channel at 1am. And if I didn’t know any better I’d swear the script was adapted from some Harlequin romance novel. If that sort of thing holds no appeal you should probably avoid this. Ash Wednesday is only available on video and I can’t really make a case for its DVD release. 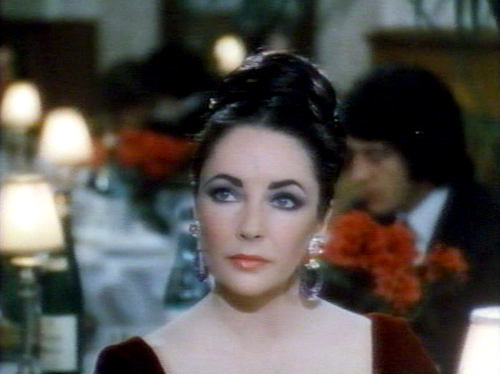 Many of Elizabeth Taylor’s adoring fans would probably like to see the film become more easily available, but for now they’re going to have to pick up a used copy of the Paramount VHS at Amazon if they want to see it. You can find more images from the film in my Ash Wednesday Flickr Gallery. Couldn’t agree more. This should have been turned into a horror film to work. I actually PAID good money to see this in a theater when it came out! I mainly went to see it for Helmut Berger. I was a big fan of his back then. Still am. This isn’t even so bad that it’s good. It’s just bad. Thanks for the spot-on review. As a horror film it could have been MUCH better. Maybe if the film borrowed its plot points from Dorian Gray instead of a Lifetime Movie of the Week, it would have worked? Taylor would have made a perfect female version of Gray and it would have been fun to see Berger play one of her love interests. Berger’s long been one of my favorite actors, but he’s wasted in this film. I suspect that he spent most of his time trying to avoid being verbally or physically attacked by Burton. Can’t you just hear Richard Burton saying “incrEHDibly vUHLgAH.” I remember this from ads at the time and it is inextricably linked, if only in the context of timing and the very vague subject matter of May-December romances, with the Merle Oberon movie Interlude (1973). They would make a thematically interesting double feature… but I’m not sure I’d want to sit through it! Indeed I can! I wonder why he was so morally offended by the film? He was a master of May-December romances, but Burton was probably old fashioned enough to find the idea of an older woman and younger man unacceptable. Then again, maybe he was just morally opposed to bad movies? Then again, maybe he was just morally opposed to bad movies? Circle of Two qualifies as both, a bad May-December movie. I still watched it though. It was on cable all the time in the early eighties. Burton was in a lot of lackluster flicks. I’ve never seen Circle of Two, but now I want to. Thanks for the suggestion, Jonathan! Wow!? One person’s trash is indeed another person’s treasure. This is another reason I hate writing about films I dislike. They always manage to ruffle someone’s feathers. Maybe if a giant Yeti monster had showed up in Ash Wednesday to terrorize the wealthy bored guests at the secluded ski resort, I wouldn’t have found the movie so damn dull? I’ve got nothing personal against Larry Peerce or his movies, even though I’ve only seen a couple of his films and TV productions, but this thing was just plain tedious after the opening sequence. I’m not sure why you feel the need to defend the director over this one failure and why you didn’t notice the positive things I did say about the movie, Howard? On the other hand, I think I made it pretty darn clear why I disliked Ash Wednesday as well, but if you need me to give you a rundown of the film’s problems again I’ll point them out. It absolutely wasted Helmut Berger and gave him nothing to do except gaze at Taylor, which is a cinema crime of the highest order in my book. It was also shot like a TV movie of the week with very little style and there was much too much vaseline used on the camera lens. As much as I appreciated Taylor’s low key performance here, I much prefer Taylor when she’s chewing up the scenery and Henry Fonda seemed utterly lost in his role. I forgot to mention how awful the soundtrack was, but there you go. The film’s themes just didn’t resonate with me at all. As a woman, I found Taylor’s character too confused, frail and unbelievable here. The idea that she would have plastic surgery just to keep an unfaithful husband left me utterly cold and seemed lifetimes away from the proud women Taylor usually plays. I’ll take the Taylor who doesn’t role over for any man – much less have PLASTIC SURGERY for him! – in movies like Boom, Identikit, Night Watch and Who’s Afraid of Virginia Woolf?, thank you very much. Now please make the case for Ash Wednesday. I’d love to read your defense of the film. I completely see where you are coming from — however, ASH WEDNESDAY uses this banal, Vaselined TV-movie feel, the Harlequin plotting, etc. against it’s own characters — or perhaps, against the viewers who buy into that fairy tale world — instead of a strong willed, powerful, loud-mouthed and castrating Elizabeth Taylor we have a shallow, insecure, dependent, AGING gold-digger whose fairy tale world of living with her Prince Charming in his castle has crumbled. She is a woman of that specific era and the film basically traps her stylistically in that TV-movie world, then shocks her into hard reality (not soap opera reality) by graphically depicting her surgery and then by crushing her superficial dreams in her confrontation with her husband who STILL rejects her. That’s real life. The irony lies in her superficial solution (cosmetic surgery) to a real life dilemma (fading long-term relationship). Like Robert Aldrich’s ULZANA’S RAID which was shot by Joe Biroc to emulate the popular TV westerns of the time, to mimic the visual language that the most common viewer could relate to, only to jolt audiences with graphic violence and situations that jog it’s naive main characters out of their fairy-tale imaginings of life — ASH WEDNESDAY does the same — all soaped up with superficial, unsympathetic characters trapped in their staggeringly banal world. This isn’t exactly a parody of that Sirkian melodrama, but it drags those who buy into it through the mud — but the subtlety in its progressive intentions are both its strength and its weakness. I understand fully why Taylor was attracted to the project — and I agree she seems completely committed to the role — she hates those kind of women — their flimsy spoon-fed notion of what role women should play in this world and the wrong-headed importance of status, image and wealth (something she, herself probably had plenty of time to examine in herself). It’s not so much a soap opera as it is a Faustian cautionary tale – the addition of Berger is also understandable since he was fresh from his own Faustian DORIAN GREY just a year or so earlier. Everyone in the film, to me, seems exactly as they should — shallow and repellent — all desperately in need of a spanking — but I disagree that Berger is wasted — he performs a function. All of Peerce’s films that I listed reiterate the same hard, cruel dream-dashing journey that Ms. Taylor’s character goes through in ASH WEDNESDAY — I forgot to mention yet another that is ripe for comparison — THE BELL JAR. Very consistent artist, but some films ideas definitely fail to reach even sophisticated viewers when their commentary is too subtle to be easily distinguished from the style of film it uses to criticize — it backfires, as ULZANA’S RAID backfired for Aldrich. Both are essential criticisms of their era and both have been virtually dismissed (and lacerated) by both critics and audiences. Understandable, but a deep shame to me nevertheless. I agree again when you say how you hate writing about films you dislike — it’s not that you ruffled feathers — you didn’t — no one should be hesitant to voice their dislike of something, especially when they have specific reasons — you do — I just wanted to speak in defense of this particular film since I’ve always found it fascinating and enjoyable. I forgot to mention how much we DESTRUCTIBLE MAN love CIRCLE OF TWO..! Great defense, Howard! Even if I don’t agree. I loath the types of films and characters the movie is depicting so the subtle irony of the thing, if it exists, just didn’t work for me. If the film managed to shock and awe the audience it intended to, I applaud it. But the pedestrian nature of the thing just failed for me on a lot of levels. I prefer my critiques of the bourgeoisie dished up by directors like Luis Buñuel, Godard and Joseph Losey. It’s just plain hard to not view Ash Wednesday as dated when you compare it to something like Losey’s incredible Boom released years earlier. Audiences may have walked out on Boom and I’m sure many of the film’s themes went right over their heads, but Ash Wednesday could easily be viewed as “Boom light” made digestible for the masses and I prefer the original. Doing a scene by scene comparison of the two films and exploring the way they handle similar themes would be an interesting endeavor. I’ve never seen this, but remember the intense advertising surrounding this when it was first released. I always wondered the connection between this film and the Catholic holiday of Ash Wednesday (I’ll avoid all Fat Tuesday jokes here). Any idea? I also think Burton was truly paranoid if he was jealous of the openly gay Helmut hooking up with Liz. Knowing this part of the back story of the film really makes sense of the two Burton/Taylor divorces. Hey Kimberly. Great write-up. I’ve heard good things about this film, but I’ve never had a chance to see it. I always thought I would like it. I’m a big fan of Liz and Helmut. Cheers! Fred – As someone who was raised by two lapsed Catholics, I’m afraid I have very little insight into what the title might have to do with the religious holiday. If I was to guess I’d say it probably connects the plastic surgery Taylor’s character had with the idea of redemption since she thought it would redeem her marriage. I could go deeper, but in all honesty I think I’d be reading too much into the film. Maybe the writer just liked the sound of it? Keith – I’m glad you enjoyed it. It was a rushed write-up and I had mixed feeling about sharing it. Hope you get eth opportunity to see it in the future!